Depression and anxiety can cause huge amounts of distress, disruption and disability to both the sufferers and the family unit. There are some effective treatments, but in order to access treatment, people need to have their distress recognised by the health service. There are some limited estimates of the scale of unrecognised disorder in the general population, but we do not know the scale of the problem in women during pregnancy. For women who are in treatment, we also know little about what happens to treatment when women become pregnant. During pregnancy, Pakistani mothers seemed to have more distress than White British mothers. Up to a half of BiB mothers who had significant psychological distress did not have their distress noted by their GP. This did not appear to be related to the amount of times women accessed the health service. For every one White British woman whose distress was apparently undetected, two ethnic minority women went undetected. When we looked at women who did have their distress noted by the health service, most discontinued anti-depressant treatment during pregnancy, but very few seemed to get offered other treatments. Ethnic minority women seemed more likely to have anxiety than White British women, but ethnic minority women accessed fewer treatments both during and after pregnancy. There are many important questions that now need to be answered and actions to be put into place. We don’t know why these disparities exist. What happens in a GP appointment that leads to these disparities? How can we best support women to disclose their distress and negotiate treatment, and do health care professionals need more support in recognising signs of distress and offering treatment? What can be done to ensure that women who don’t want to take antidepressants during pregnancy get offered talking therapies instead? Prady SL, Pickett KE, Petherick ES, Gilbody S, Croudace T, Mason D, Sheldon TA, Wright J. Evaluation of ethnic disparities in detection of depression and anxiety in primary care during the maternal period: combined analysis of routine and cohort data. Br J Psychiatry. 2016 May;208(5):453-61. doi: 10.1192/bjp.bp.114.158832. Prady SL, Pickett KE, Gilbody S, Petherick ES, Mason D, Sheldon TA, Wright J. Variation and ethnic inequalities in treatment of common mental disorders before, during and after pregnancy: combined analysis of routine and research data in the Born in Bradford cohort.BMC Psychiatry. 2016 Apr 12;16:99. doi: 10.1186/s12888-016-0805-x. Stephanie has been a health services researcher and social epidemiologist in hospitals and universities both in the UK and the US. She currently holds a Wellcome Trust Society and Ethics Research Fellowship (2016-19). 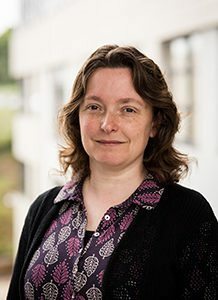 In this work she aims to model the effect that different preventative or treatment interventions have on altering the variation in the benefit experienced by advantaged groups compared to disadvantaged groups (the mental health inequality). Her previous MRC-funded research on health inequality focused on families in the context of maternal mental health in collaboration with the Born in Bradford study, and strategies to reduce health inequalities through interventions in the NIHR-funded CLAHRC Yorkshire and the Humber. She has also worked on wide range of projects including electronic health records, substance abuse, complementary medicine, clinical audit and ethnic minority health. Stephanie has a special interest in methodological considerations including measurement, the analysis of routine data, and novel review methods.